Successfully Added ''Simple'' Mini Projector - 1080p Support, 500:1 Contrast Ratio, 50 Lumen, Manual Focus, 16W LED, 0.5 - 3.5M Throw Distance to your Shopping Cart. The ''Simple mini projector'' is a sophisticated 1080p projector that allows you to watch all your favorite media on a large screen. With its miniature size, this mini projector can be easily carried around and planted wherever needed. Featuring a throw distance of 0.5 to 3.5 meters, the ''Simple'' projector is perfect for usage in small spaces such as an average sized living room or bedroom. Simply plug in your projector and you’ll be all ready and set to enjoy a truly cinematic experience from the comfort of your own living or bedroom. Perfect to be used for movie nights with all your friends and family, this mini projector allows you to watch all your favorite media in absolutely stunning beauty and detail. Supporting a 32GB TF card slot, the ''Simple'' mini projector allows you to insert plenty of your favorite media – ensuring that you’ll never have to be bored again. With its 16 Watt lamp that produces up to 50 Lumens, this mini projector brings along light in the darkness and allows you to clearly project your media into the wall of your pitch-black bedroom. Grab yourself some popcorn, sit back, and relax. With this sophisticated mini projector at hand, you’ll be able to throw the perfect movie nights and enjoy the latest movies like never before. Thanks to its stunning 1080p support, you will be able to watch FHD media with this beauty – ensuring that you’ll enjoy vivid color and high detail while watching the latest movies with your friends or family. Supporting up to 1.67 million colors and featuring a contrast ratio of 500:1, you can be assured that this mini projector portraits all your favorite movies in breathtaking color. The ''Simple'' mini projector furthermore comes with its own IR remote control, allowing you to easily pause, continue, or switch in between movies without you ever needing to get up from your comfortable seat. Additionally, this 1080 projector supports manual focus adjustment – ensuring that you’ll always be treated with the highest quality and resolution while watching the latest movies. Perfect for domestic usage, this Full-HD mini projector lets you enjoy all your media and games alike while located in a dark room. 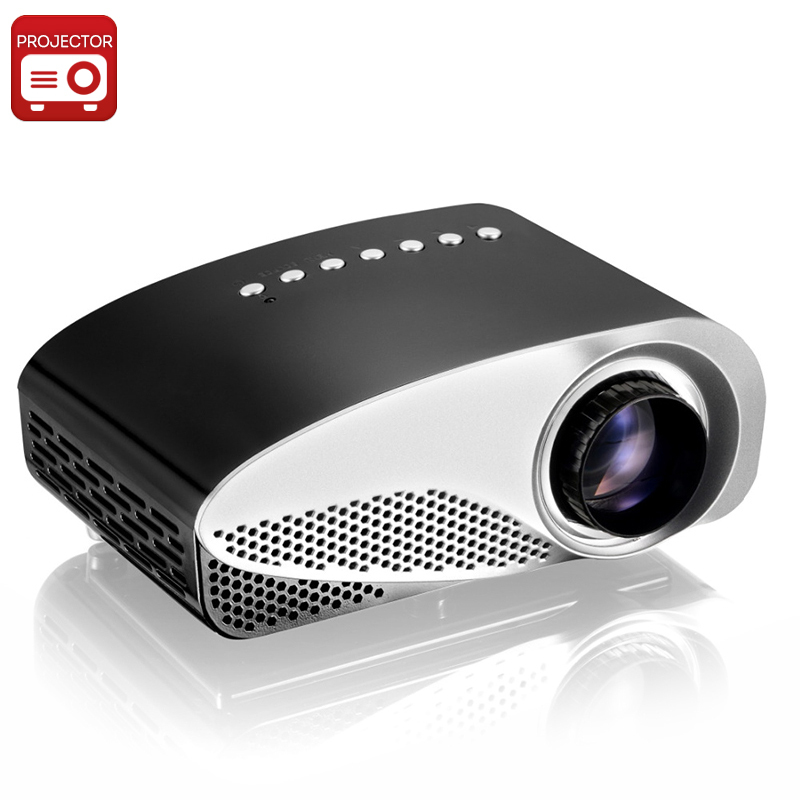 Invite over your friends to enjoy an epic movie night, or simply watch a relaxing movie at home with your family – the options offered by the ''Simple'' mini projector truly are endless. Thanks to its easy to install design you will be able to install and mount this magnificent device without any delay – allowing you to enjoy a truly cinematic experience right out of the box. The ''simple'' mini projector comes with a 12 months warranty, brought to you by the leader in electronic devices as well as wholesale electronic gadgets..
Arabic: - 1080 ف مصغرة البروجيكتور - Chinese Simplified: - 1080p 迷你投影仪 - Czech: - Mini Projektor se specifikací 1080p - Dutch: - 1080p Mini Projector - French: - Mini projecteur 1080p - German: - 1080p-Mini-Projektor - Hebrew: - מקרן מיני p 1080 - Hindi: - 1080पी मिनी प्रोजेक्टर - Hungarian: - 1080p Mini Vetítőgép - Italian: - Mini proiettore 1080p - Japanese: - 1080 p ミニ ・ プロジェクター - Korean: - 1080 p 미니 프로젝터 - Malay: - Projektor Mini 1080p - Norwegian Bokmål: - 1080p Mini-projektor - Romanian: - 1080p Mini proiector - Russian: - Мини-проектор 1080p - Spanish: - Mini proyector de 1080p - Thai: - โปรเจคเตอร์มินิ 1080p - Turkish: - 1080p Mini projektör - Vietnamese: - Máy chiếu Mini 1080p.